The RISH International seminar will be held by the following schedule. 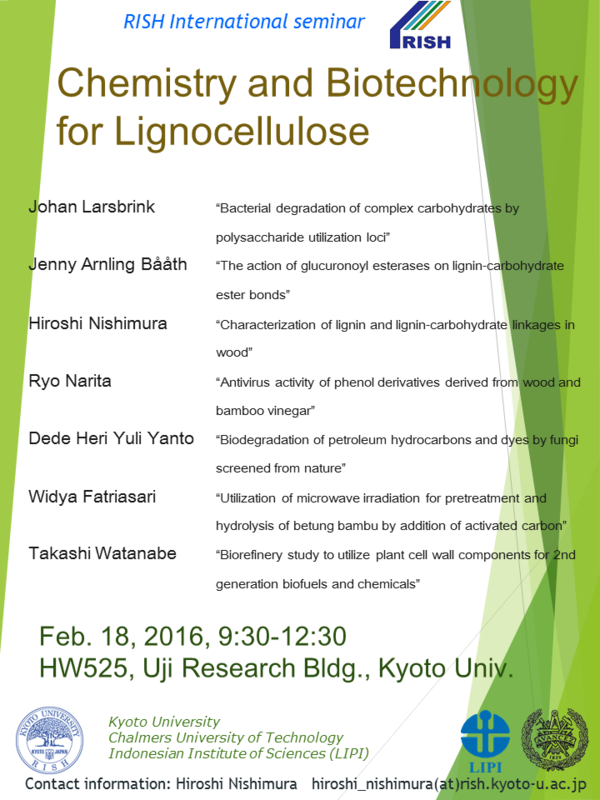 All researchers are welcome to attend. Copyright: 2002-2014 Lab. of Biomass Conversion, all rights reserved.